*The COSA room block at the Marriott Magnificent Mile is now full. COSA has secured additional rooms for the nights of October 18-21st at the Hilton Garden Inn Chicago Downtown/ Magnificent Mile. However, the rooms are filling up quickly, specifically the night of October, 18th. The Hilton Garden Inn is located just two short blocks from the Marriott Magnificent Mile, site of the School Law Practice Seminar, and offers amenities like complimentary Wi-Fi, fitness center, and an indoor pool. Allow a few minutes to check out the delicious smells and tastes of Eataly, Chicago on your short walk to the Marriott! To make hotel reservation call, 1800-445-8667 and identify yourself as a member of the COSA 2017 Group. Cancellations must be made no less than 24 hours prior to arrival. 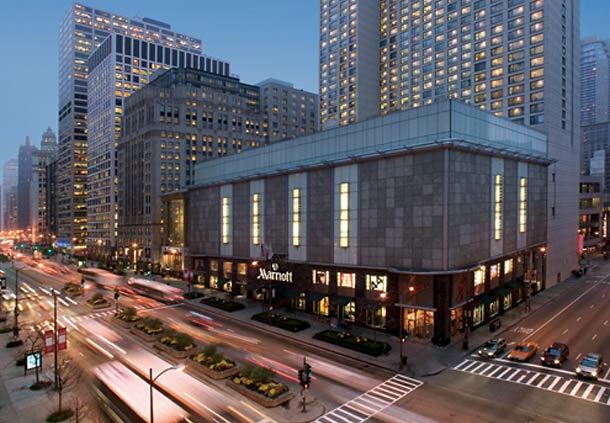 Located on the popular Magnificent Mile, the Marriott Chicago lies right in the heart of this shopping and dining mecca. Take in another view of the Magnificent Mile from the sky on the Ferris Wheel at Navy Pier, or grab a bite at one of the many restaurants lining the iconic Michigan Avenue. Stretching between Lake Shore Drive and the Chicago River, the “Magnificent Mile” is a prime location for a little retail therapy. If you consider yourself an architecture buff, you will appreciate just strolling down the street thanks to its eclectic collection of buildings. Don’t forget to look upward for a view of the Historic Water Tower, which survived the Great Chicago Fire of 1871 and is the longest standing structure on Michigan Avenue. Other structural highlights include the Wrigley Building (once headquarters of chewing gum magnate William Wrigley, Jr.) and Tribune Tower (home to the Chicago Tribune daily newspaper). Please note: The COSA room block at the Marriott Magnificent Mile is now full. See above for overflow booking information. To make hotel reservations online, please Click Here Cancellations must be made no less than 24 hours prior to arrival.